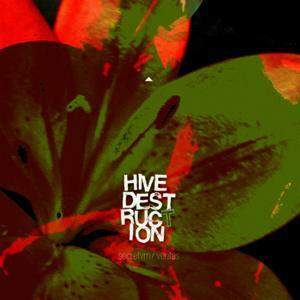 HIVE DESTRUCTION was spawned in October 2008 from ex-members of Belgium metal staples AMENRA as a project to try out new riffing and stretching the known boundaries with a mixture of CROWBAR, NEUROSIS, ISIS, OLD MAN GLOOM and RUSSIAN CIRCLES heaviness combined with atmospheric, acoustic and original hooks, deafening electronics and gloomy grooves with layers of samples and sounds and instruments. All the songs are instrumental yet extremely heavy. "Secretvm/Veritas" collects the bands 2009 and 2010 self-released demos, "Teeth Of Silver Teeth Of Gold" and "To Serve King & Queen", both of which sold 75+ copies in approximately a month. Those 8 demo songs have all been remixed and remastered and two brand new exclusive songs recorded late 2010 have been added to fill out this collection.